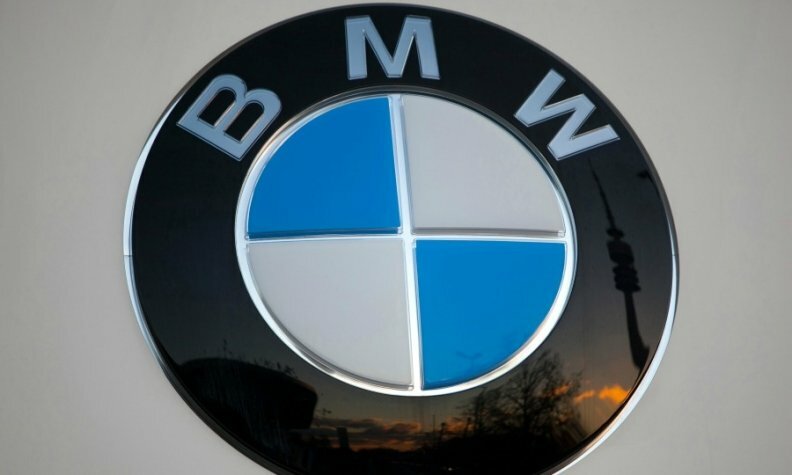 FRANKFURT -- BMW posted a 3 percent drop in first-quarter operating profit as unfavorable exchange rate effects weighed on revenues and earnings, even as the automaker posted higher margins and sales volume at its cars business. Group earnings before interest and taxes (EBIT) fell to 2.73 billion euros ($3.27 billion) from 2.82 billion euros in the year-earlier period. BMW said vehicle sales of its luxury core brand increased 2.8 percent in the three months through March, to 517,447 units, boosted by demand for the new 5 series sedan and the X1 crossover. At sister brand Mini, sales rose 4 percent in the quarter, while Rolls-Royce was up 10 percent. BMW aims for full-year 2018 sales and revenues at its automotive segment to reach record levels, helping it achieve an operating margin of 8 percent to 10 percent. In the first quarter, the automotive segment posted a margin of 9.7 percent, up from 9.4 percent a year earlier. BMW affirmed its guidance for 2018 group pretax profit at least at last year's level. Regulatory approval for the planned merger of its DriveNow car-sharing business and rival Car2Go however will lead to a one-off valuation effect, which will result in slightly higher group pretax profit. Export-driven companies including automotive supplier Continental and Daimler have warned that a weaker dollar will dampen growth going forward even as they post record sales. Daimler and Volkswagen last week reported first-quarter results weighed down by a strengthening euro. BMW, the world’s second-largest luxury carmaker, is in the midst of a record rollout of new and refreshed models to recapture the sales lead in its segment from Daimler unit Mercedes-Benz. So far results have been slow, with BMW’s deliveries rising at less than half of Mercedes’ rate of 6 percent. The second half of the year will see stronger growth when sales of SUVs such as the X2 compact crossover get underway, BMW said last week. The model offensive and spending on a lineup of 12 electric-only vehicles by 2025 is putting pressure on BMW’s declared goal of keeping profits from carmaking in a range of 8 percent to 10 percent. To maintain it, the carmaker is rolling out several high-end cars, such as the 8-series coupe, that typically generate higher returns. Spending on new models and technology will rise to a record 7 billion euros ($8.4 billion) this year, a 15 percent gain over 2017. BMW will unveil 20 new and revised models throughout 2018, including the full-size X7 SUV.